If you don’t know, Google is doing very hard in the smartphone era. Earlier they tried to capture the market with Nexus Android series devices, and now it’s time for Pixel. Nexus series did collect fame, but now this is the time for something new. Google Pixel series is all high-end smartphone series by Google. The last two Pixel smartphones were special Android smartphones, but couldn’t keep up with the market. Well, Innovation is the thing that market seeks and maybe Google is ready to set the bet on the next launching Google Pixel 3, that’s why there are rumors have started circulating over the web. Besides Pixel series Google also launched a new online payments app known as Tez. 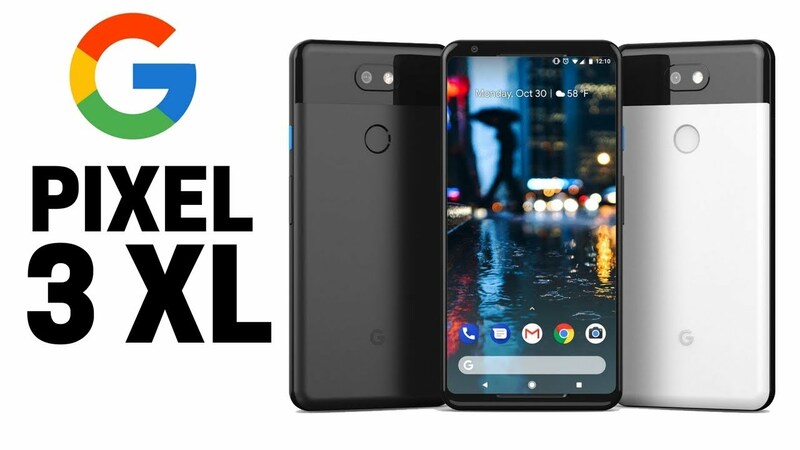 Will the design of Google Pixel 3 beat iPhone X design? In terms of Design, the second generation Pixel was very similar to the first generation, and that is why Pixel 2 was in many controversies. This year, we expect Google design engineers to pay very attention to the design of Google Pixel 3. Despite the controversies, the Pixel 2 stands well in the market and offers good hardware and software configurations. In Pixel 2, the Always ON mode now shows on the screen not only time and notifications but also the running player. It’s comfortable. Also, the owners of Pixel will have to get used to the fact that the smartphone “listens” to them constantly. Paranoid, hello! And he does it not only to awaken by the command “Ok, Google”, but also for you to know exactly what interesting music is playing around you. Some other Features Of Google Pixel 3. Google Lens is another interesting innovation in Pixels. The application will detect objects that have fallen into the camera’s viewfinder. At the moment the program does not always work correctly, but in the future, it promises to become interesting and convenient to use. So, by a software tweak, this issue could be fixed, looking for an update? So, Google Pixel 3 pixel should bring it by default. In the Pixel 2, unlocking the device by face, though not as sophisticated as in the same iPhone X. Google has to learn more, and make its device even better. When it comes to hardware configuration, the performance is provided by the standard filling for 2017: Qualcomm Snapdragon 835, Adreno 540, 4 GB of RAM and 64 or 128 GB of internal storage. Indeed, the “hardware” is the same here as in all other flagships of the current year, but it was on Pixel 2 that it fully revealed its potential. Other standard configuration includes Interfaces dual-band Wi-Fi 802.11ac, Bluetooth 5.0, NFC. Navigation systems GPS and GLONASS. A 12 MP camera with a F / 1.8 aperture is worthy of the highest praise. It is supplemented by laser autofocus and optical stabilization, in the first minutes, it seems strange that the trend for dual cameras bypassed the “reference” Pixel side, but when you start to shoot it, everything falls into place. Indeed, the smartphone does not need a second camera to blur the background: software algorithms cope as well as the dual modules of competitors. We admit, mistakes do happen, but not more often than with two-eyed brethren. Or maybe even less. In conditions of lack of lighting, at night and under backlight, the camera also produces excellent results. Now, you can consider, if there will be two such cameras at the rear panel of Google Pixel 3, then it will capture like a charm, and there will no iPhone on the way to compete. In Pixel 2, the video is shot as much as 4K with a frequency of 30 fps. Rollers are smooth, even if you shoot on the go, the sound is written qualitatively. The front sensor used is 8 MP camera, and it is also good. It copes well with any shooting conditions and also blurs the background perfectly. The present Pixel camera configuration is above standard, and the results prove it all. We hope, little more innovation, and Pixel 3 should climb the Mount Everest. Where performance of upcoming pixel 2018 smartphone stands? The battery configuration of Pixel 2 is powered with the battery at 2700 mAh. Despite the formally small capacity, the smartphone can withstand a day of active use in mixed mode. The quick charge also does the right. We expect Google shouldn’t compromise in the next pixel with its battery capacity, at least 3300 mAh or 3500 mAh should be considered in Pixel 3. For Pixel 2, generally, despite the high expectations of the public and many potentially strong sides, it cannot be said that the smartphone became a hit and “broke” all competitors. It seems that the screen is of good quality, and it sounds good, and speed is above all praise. Definitely, this is one of the fastest smartphones on the market today. It seems that everything is fine, but what is embarrassing? First of all, the strange front panel confuses, as if coming from somewhere from the past. The second point of our embarrassment is the sensitive facets, which are steep in them but can not be fully used. Want to properly compress your smartphone – buy better HTC U11 or U11 Plus. Moreover, the amount that is asked for on a smartphone is far from being small: official $ 650 for the version with 64 GB on board by the efforts of resellers grows to $ 800. This is already a lot and competition in this price category is serious. Google must learn from Pixel 2, it has plus points, but down points as well. If Google will count both collectively, we will have a beast Google Pixel 3 in the month of October 2018.
google pixel is really awesome. Share this with others.